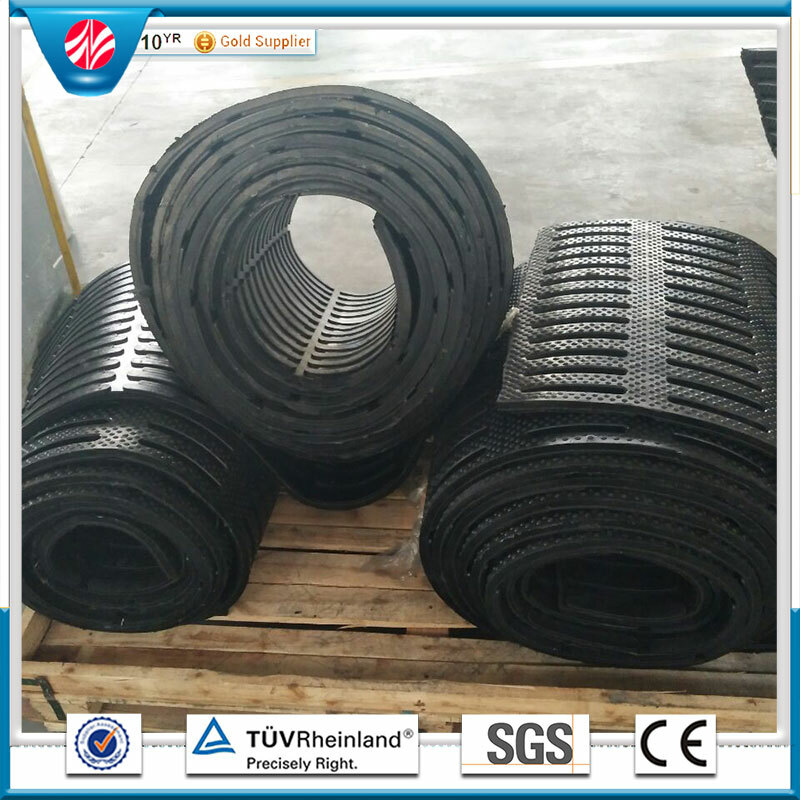 *This Rubber stable mat mainly be used to cowshed,stable and hoggery etc. 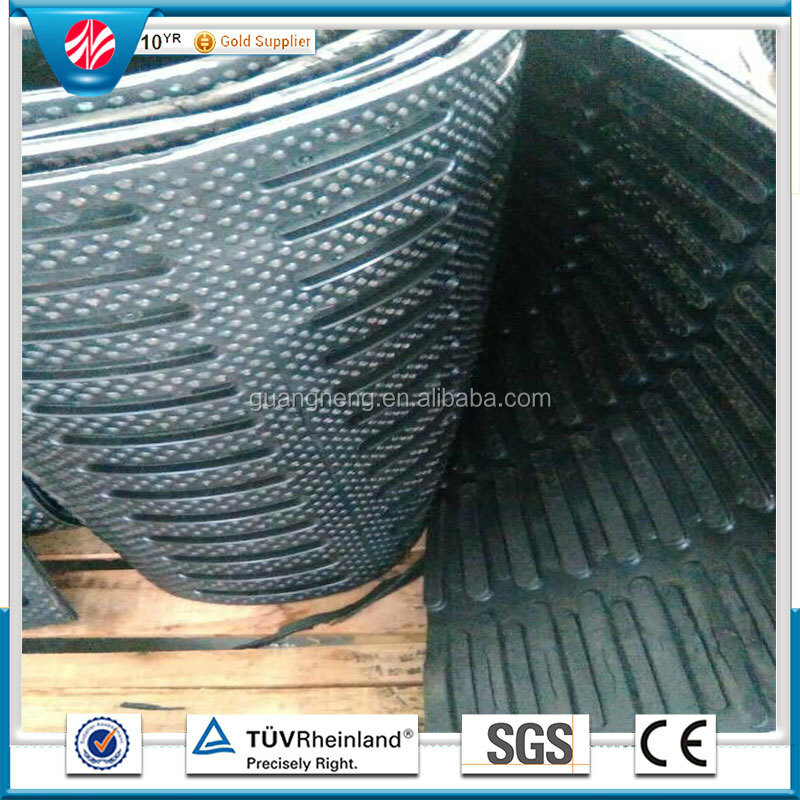 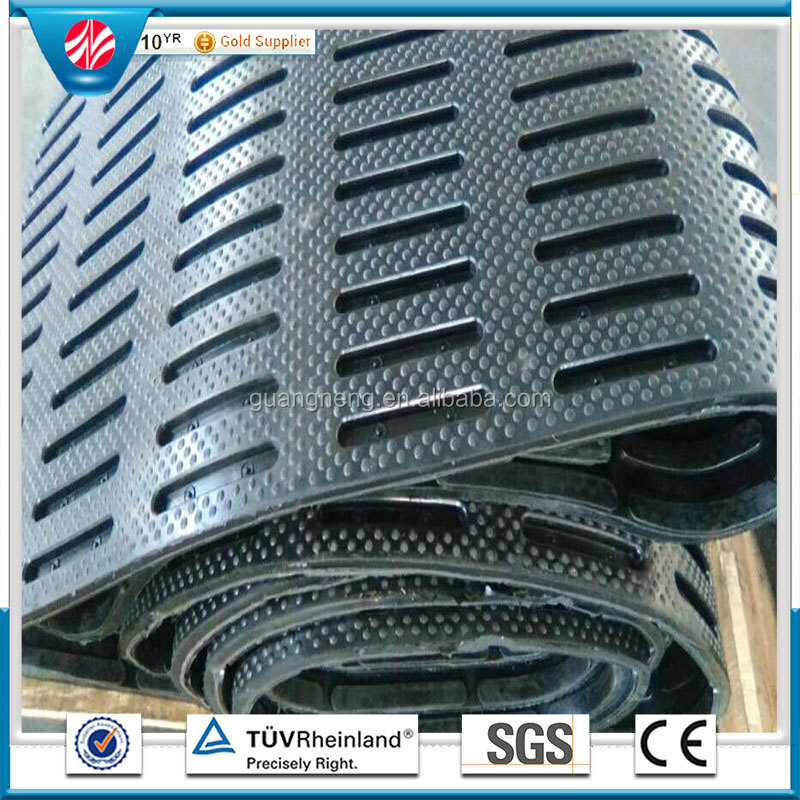 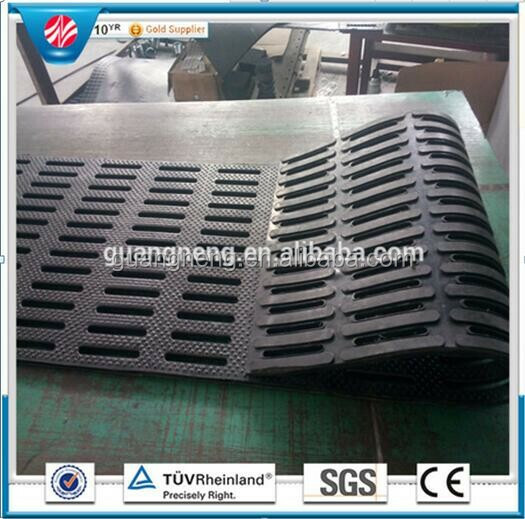 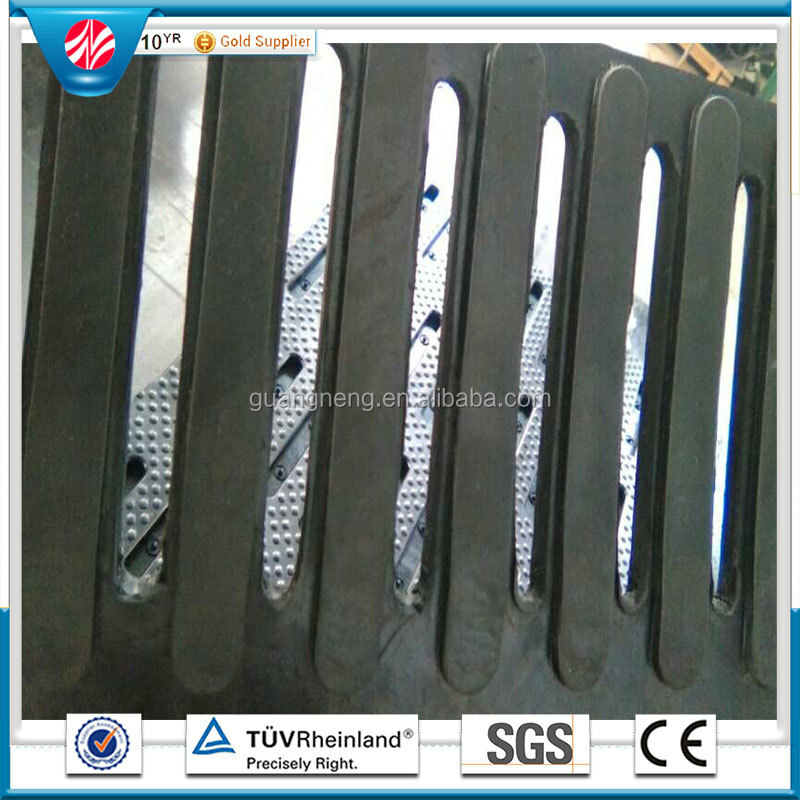 *This rubber stable mat can protect cattle against fall damage. 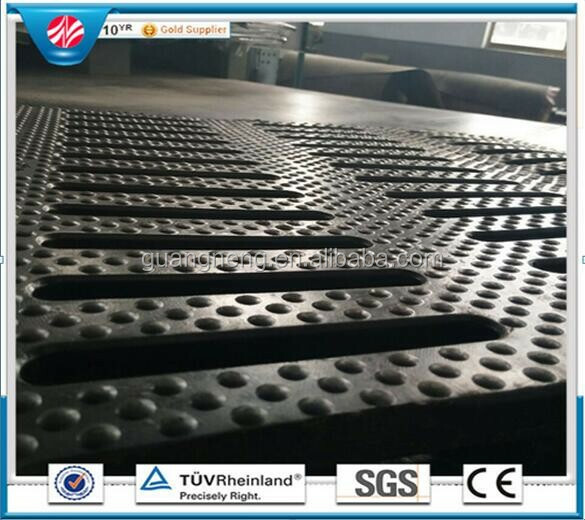 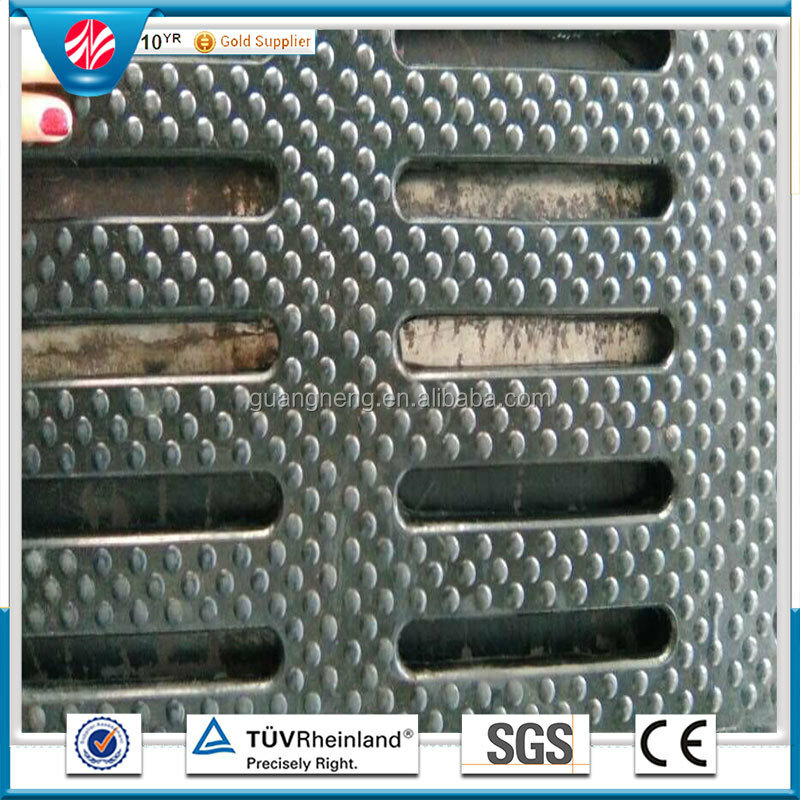 *What's more important that theRubber stable mat can prevent cattle from many skin and foot disease. 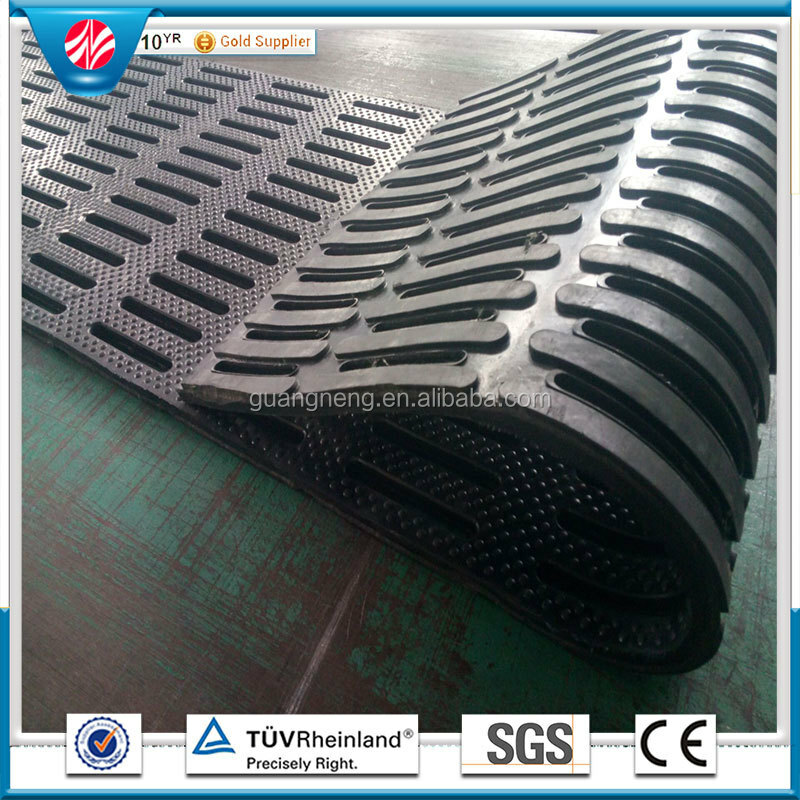 *It is the best choice for cattle farmers. 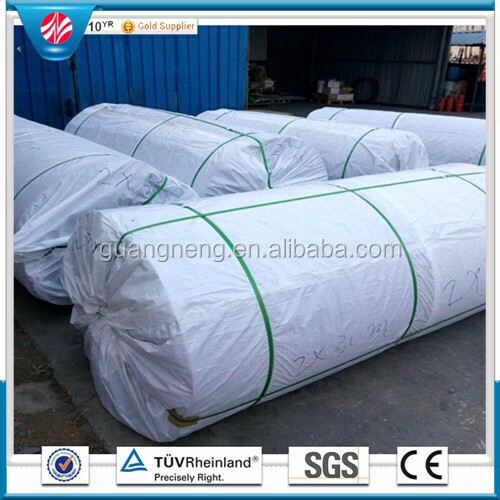 Normal package : Plastic bag & Wooden Pallets or according to clients requests. 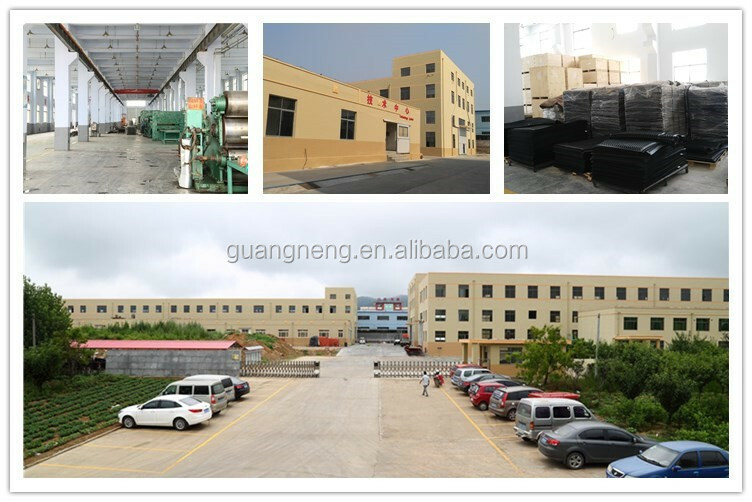 Qingdao Guangneng Rubbers and Plastics Chemical Co., Ltd. is a professional manufacturer of many kinds rubber mat, rubber tile, rubber paving, rubber sheet, rubber floor and other rubber products.All products can be made into colorful,anti-slip,safe,anti-abrasion,weather-resistance and acid etc.So they are widely used in paving the home yard, playground, kindergarten, gymnasium, hospital, kitchen, laboratory, side walk and other public places.Also our location of a convenient transportation network. 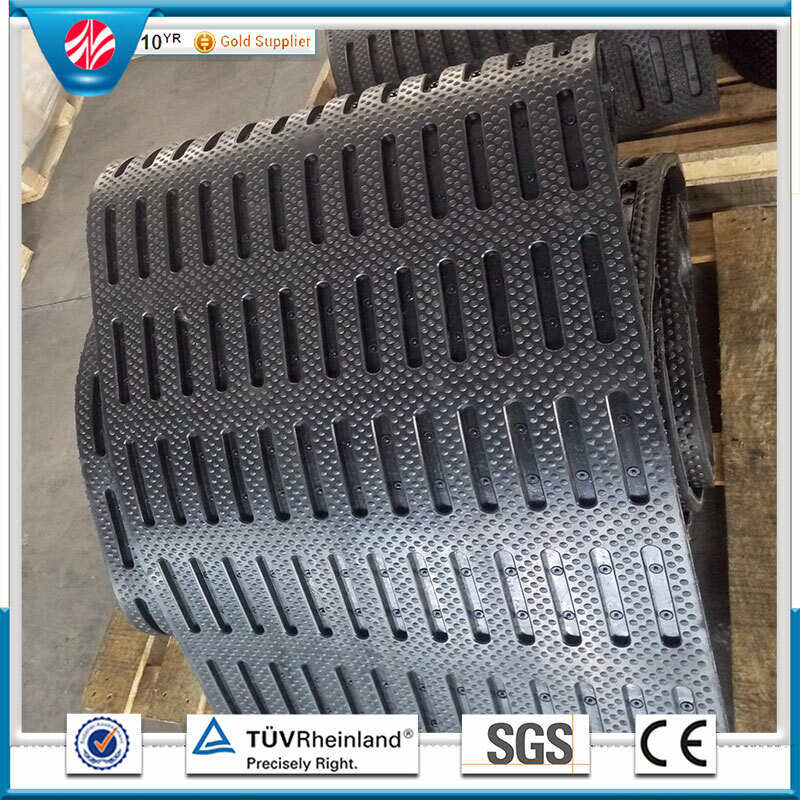 The company has been an ISO 9001 certificated manufacturer.In 2003,we got license to run import and export business directly.It was appraised a High-tech Contract-abiding and trustworthy Enterprise,while was recommended by China Rubber Industry association.We enjoy a good reputation in all our markets. 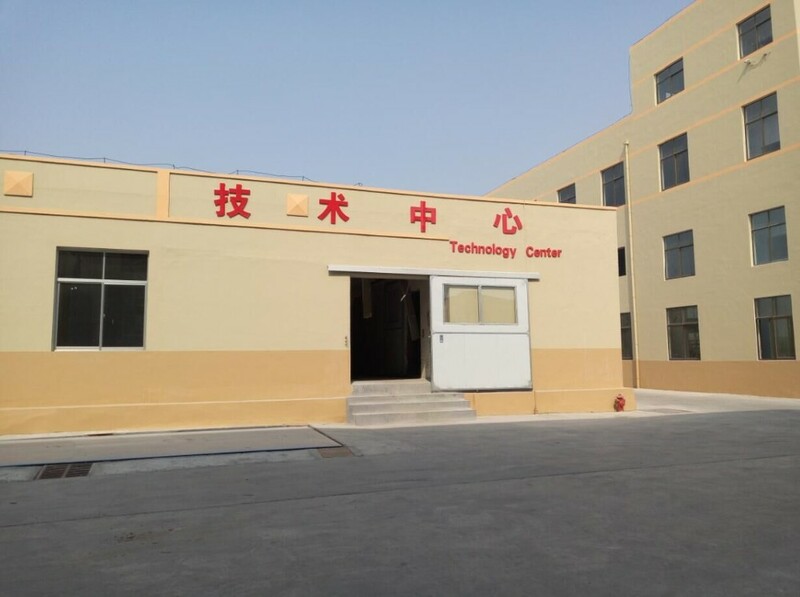 Our company always seeks high efficiency, high prestige and high quality. 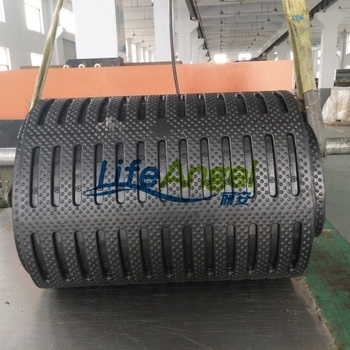 Our aim is to offer high quality products,best price and good service.